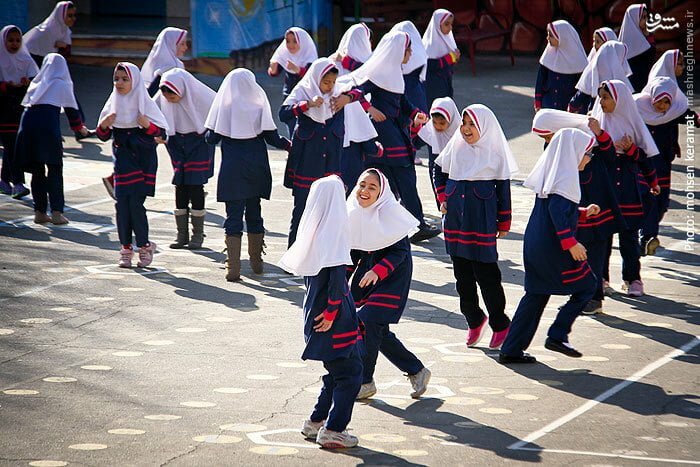 The Iranian government has officially exempted all schools from paying water, power, and gas bills in a bid to decrease the money parents are required to pay in order to enroll their children. The dramatic devaluation of Iran’s national currency rial against the US dollar over the past few months has been taking its devastating social and cultural toll on Iranian children, hampering their education. The devaluation has been mainly caused by the US’ sanctions on the Islamic Republic. Despite what the US officials claim, it is the Iranian people, particularly the vulnerable social classes, who are paying a heavy price for Donald Trump’s reckless policies towards other nations. The new academic year in Iran started a few weeks ago amid a considerable growth of stationary prices due to the record depreciation of rial against the US dollar. The growing prices of basic commodities along with the soaring education fees in the new academic year have left most of the students’ parents incapable of affording to pay the hefty price of education for their children. This has led many students to leave their education unfinished. To alleviate the problem and decrease the amount of money schools receive from students, the Iranian government has decided to increase the budget allocated to education. As part of the budget increase, the government has exempted all schools from paying water, power and gas bills. Officials hope a long step could be taken in this field if other related organizations step into the fray and adopt similar measures for the students. This will also help the students’ families, exempting them from paying extra money to schools. Head of the Public Relations of Tehran Education Department says schools are not allowed to receive money from parents under the pretext of holding special events for students. “It’s illegal and the families should report any violation to the Assessment Centre of Education Departments,” he noted. He went on to say that in the new academic year, the Education Ministry has adopted special measures to stop schools from receiving any money from parents. According to the official, the announcement should have been implemented as of the first month of this Persian year but the Power Distribution Company and Water and Wastewater Company continued to charge the schools until last month. “Today, with the follow-ups made by the government, all schools will be exempted forever from paying gas, water and power bills,” he concluded.